UFC Fight Night 103 is all set to go down TONIGHT (Sun., Jan. 15, 2017) from inside Talking Stick Resort Arena in Phoenix, Arizona, as Ultimate Fighting Championship is going back to free TV with it’s latest FOX Sports 1 offering. 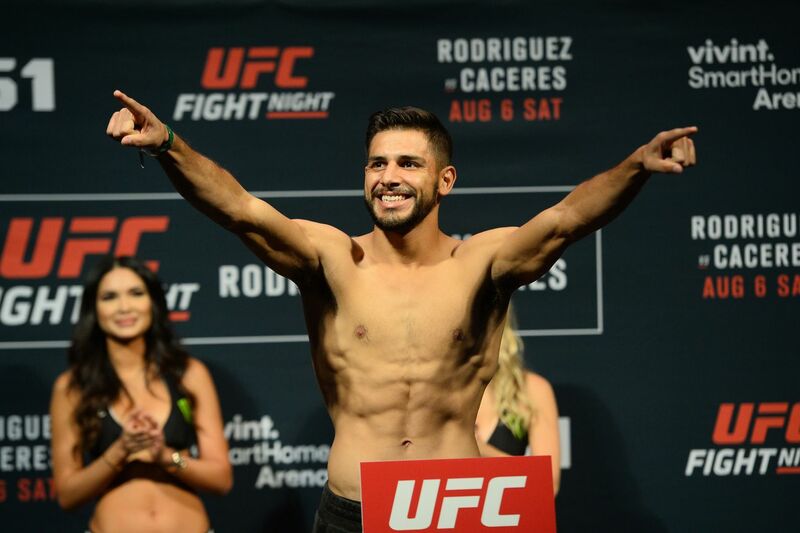 In the headlining act, rising contender Yair Rodriguez will welcome BJ Penn back to the Octagon in what is the former two-division champion’s latest comeback attempt after over two years away from the fight game. Check out below to find out when and where to watch UFC Fight Night 103 in its entirety. MMAmania.com will deliver LIVE round-by-round, blow-by-blow coverage of the entire UFC Fight Night 103 fight card, starting with the Fight Pass “Prelims” matches online, which are scheduled to begin at 6 p.m. ET, and then the remaining undercard balance on FOX Sports 1 at 8 p.m. ET, before the main card start time at 10 p.m. ET, also on FOX Sports 1.